Our guide to Cambridge will help you find the best dog friendly places in Cambridge Massachusetts. There are tons of great dog friendly places in the city of Cambridge, our city guide will help you find the best dog friendly places. You may have a hard time deciding what to do in Cambridge, but we make your decision easy. Waverly St & Erie St, (617) 349-4895 - Fort Washington Park Dog Run is a dog friendly off-leash dog park located in Cambridge MA. 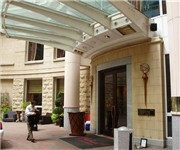 1c Kendall Sq, (617) 494-1994 - Cambridge Brewing Company is a dog friendly restaurant located in Cambridge MA. 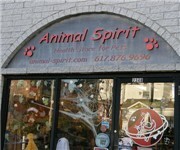 2348 Massachusetts Ave, (617) 876-9696 - Animal Spirit is a dog friendly pet store located in Cambridge MA. There are plenty more dog friendly places in Cambridge. See all dog friendly places in Cambridge Massachusetts.